The January thaw that hit last week offered a chance to evaluate the severity of the winter so far. It hasn’t been particularly cold, and snowfall for the most part hasn’t been extreme. But the real measure of the storminess and harshness of the winter is the number of fallen branches and twigs in my yard. 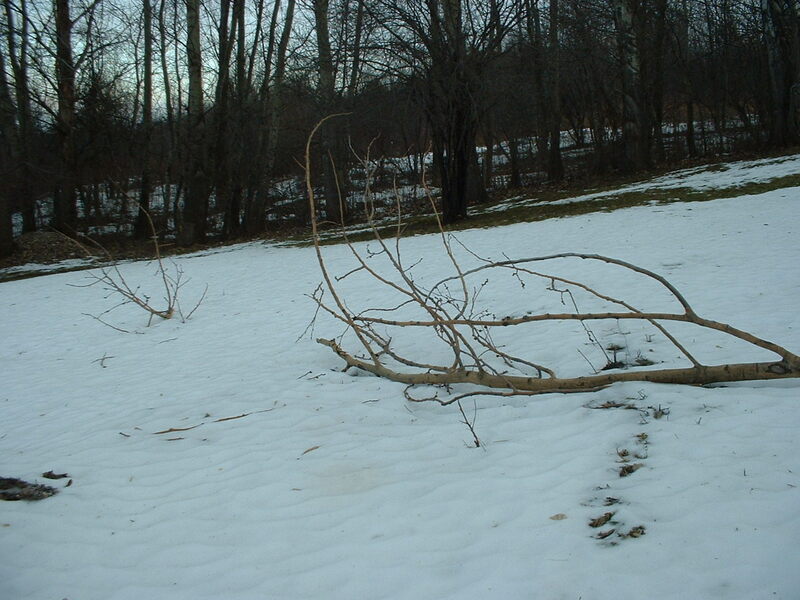 The melting snow on Monday revealed my lawn is really littered with tree limbs, as you can see in the photos. Click on the pics to make them big for a better look. The winter harshness index is high. We’ve had quite a bit of wind, some ice and weird temperature gyrations, so I’m not surprised the lawn that was twig-free at Thanksgiving is such a mess now. Granted, they aren’t big branches, there’s no property damage and it won’t be hard to clean up. But the trees have taken a beating. They are as ready for winter to end as I am. Winter returned with a squally vengeance yesterday. 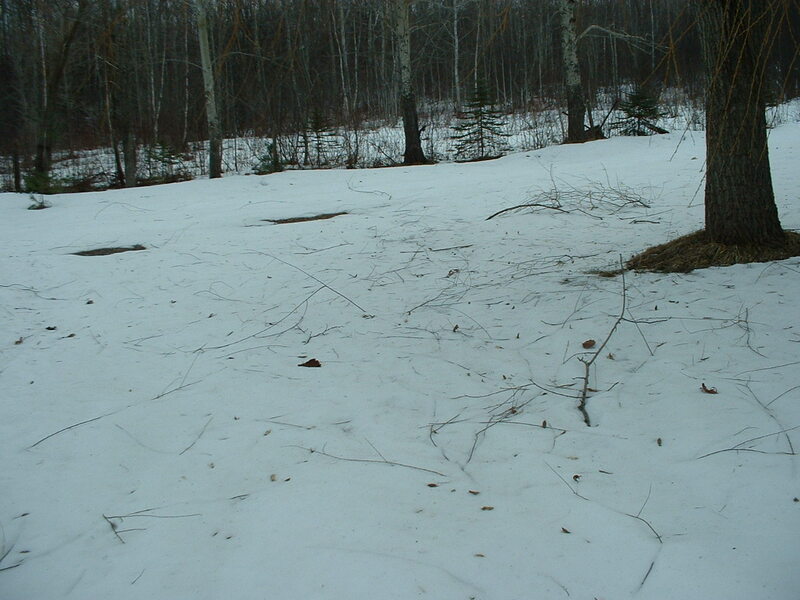 The wind was strong enough to blow a few more twigs down, and the temperature dropped to the lowest levels of the winter. It will be interesting to see how many more branches come down between now and spring. The cold wave that hit yesterday and deepened today is run of the mill for a Vermont winter, but that doesn’t make it any easier. It’s supposed to be 10 below tonight, so we can’t even come close to calling it record cold. But I will hear the house creak and groan in the cold, as I would if I was outside. And I’ll picture the dollar bills floating out the chimney as the basement furnace burns relentlessly to keep the chill at bay. Subzero cold is my least favorite kind of weather. It’s too much work. It takes forever to get dressed in the morning. Too many layers. I prefer the freedom of throwing on a t-shirt and shorts and flying out the door. I feel so claustrophobic in my Under Armour inner layer, the flannel, the sweater, the fleece and the overcoat. I just want to stay inside and not bother with it all. But, I have to go to work, buy the groceries, run errands. And I don’t want to be a hermit, alone in my house. So I gear up in layers and brave the elements. Other people confront the cold more fully than I’m willing to. Before dawn this morning, while the wind chill was in the teens below zero, I saw a miserable looking jogger trudging up the icy, steep hill in front of my house. Whoever it was had too many layers on to determine identity or gender. Was this person crazy, dedicated or both? As for me, I went to the gym, where I worked out in a heated room, enjoyng the freedom of wearing a nice light t-shirt and shorts. It’s the best I can do until summer. This entry was posted on January 29, 2010 at 9:19 pm and is filed under Uncategorized. You can follow any responses to this entry through the RSS 2.0 feed. You can leave a response, or trackback from your own site.